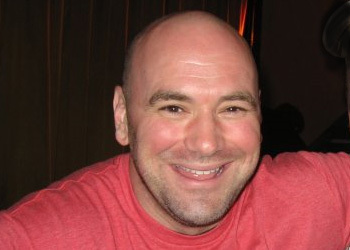 While Santa Claus opted to skip my house for the 32nd consecutive year, UFC president Dana White will attempt to keep the Holiday spirit rolling with three free “UFC 125: Resolution” preliminary bouts. White told MMAJunkie late Monday Ion Television will broadcast the freebie scraps live beginning at 9PM ET/6PM PT. The promoter is hoping the hour-long lead-in will generate last-minute pay-per-view buys for Saturday’s show inside the MGM Grand Garden Arena in Las Vegas, Nevada. “The prelims we do air, there’s only supposed to be two,” White said. “Time-wise, it’s impossible to pull off three if they all go to the distance. I’m going to roll the dice on this thing. In addition to the middleweight contest, White said Marcus Davis vs. Jeremy Stephens and Josh Grispi vs. Dustin Poirier will also appear in the Octagon’s Ion Television debut. According to White, the network is currently available in more than 100 million homes. It originally launched in 1998 as PAX TV, but was subsequently renamed to its current moniker in 2007. A lightweight title bout between champion Frankie Edgar and Gray Maynard will headline the Octagon’s New Year’s Day extravaganza.